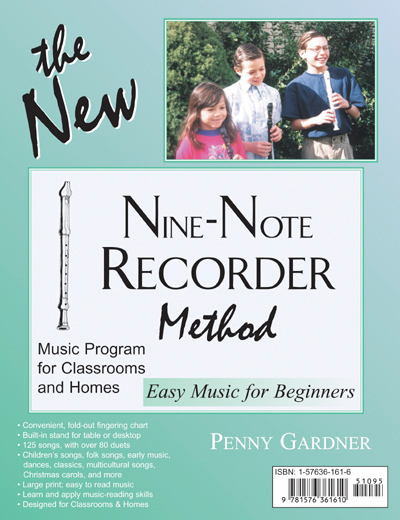 Learn to play soprano recorder with the Nine-Note Recorder Method using only the 9 easiest notes to play and simple rhythms. This full, self-standing volume features 147 songs, with 60 duets or rounds. This is 3-4 times the material in most methods. See the Table of Contents. Retail: $12.95; website price is $11 plus shipping. Why this order of notes? Return to the Nine-Note Recorder Method page. Learn more about this method in the classroom or music program.